Sewage spills need to be handled with care due to the toxic elements found in the wastewater that can pose a hazard to the health of you, your loved ones, and even pets. 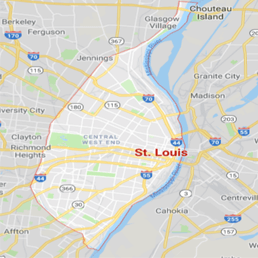 911 Restoration of Saint Louis wants property owners in Chesterfield and Arnold to call us as soon as a sewage backup occurs in your property so we can be there to restore order to your home and put your mind at ease. 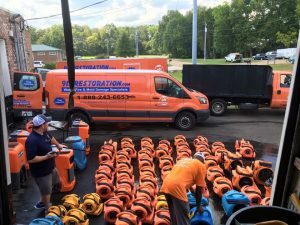 When the sewage system in your home or business gets backed up, it can cause chaos in the house, but with 911 Restoration on your side, you can trust that you will have around the clock access to sewage water cleanup services. The office is open 24/7/365 to take your calls and technicians guarantee to arrive within 45 minutes to begin sewage restoration procedures that include checking for signs of rot and mold growth. You can trust that our water cleanup company is fully capable of quickly and efficiently cleaning up your home after a sewage backup. The technicians are fully equipped with state of the art technology that will get your home or business as clean as possible, as fast as possible. If you need sewage water cleanup services and you need help getting your property back in order, call 911 Restoration of Saint Louis today for a free visual inspection. Our crews have seen it all when it comes to sewage spills, and during our experience, it has helped them understand the significant reasons why sewage systems act up. To help keep your property clean and safe, the sewage cleanup experts are happy to share some of the main reasons why a sewage backup may occur within your home or business. A clog in your plumbing is the primary cause of a sewage spill. By checking the main sewage line and drain line regularly, you can easily prevent this from happening. If you have a sink or toilet that will not work, then it probably means one of your drains is clogged. However, if there is a sewage overflow every time any toilet is flushed, then there is perhaps a problem with the main sewer line. Your yard may also be interfering with your plumbing system. As beautiful as your trees, bushes and other foliage may be, they also may be the reason for your sewage water backup. Roots can be strong, causing damage to the pipes that could, in turn, create a sewage backup. Be aware if you have any old trees around your home that may eventually cause interference. Old sewer lines made of cast iron or clay materials can still deteriorate over the years. When pipes and drains made from these materials start to break down, you may experience a toilet overflow. Replacing these old drainage systems with plastic ones will help prevent future problems. 911 Restoration of Saint Louis understands that when sewage issues strike, you want nothing more but to clean up the mess. So, call the repair techs to receive immediate sewage restoration services, and we will give you the peace of mind you need. By staying on top of your home sewage system and making sure that everything is functioning smoothly, you will prevent the need for sewage water cleanup in your residential or commercial property. 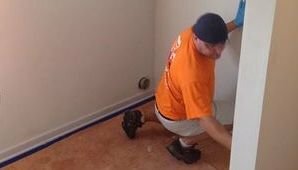 You can maintain the plumbing by simply hiring a plumber to come and check your pipes for cracks and clogs regularly. You should make a special effort to have someone come when the seasons change since the weather can affect your pipes. By having the pipes insulated properly and replaced when needed, you can avoid backups. If you decide to take matters into your own hands when dealing with a clog, make sure not to pour harsh chemicals down the drain.These chemicals can actually wear down your pipes even more and harm the environment. In the end, hiring a professional, sewage water cleanup company is the best way to handle a backup. They will remove the sewage without contaminating other areas of the property and permanently remove the odor that comes with a sewage spill. 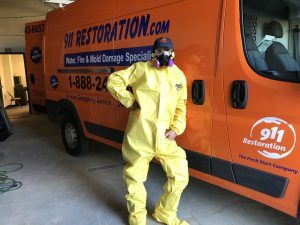 Call 911 Restoration Saint Louis when you need expert sewage restoration and let us help give you a Fresh Start today!